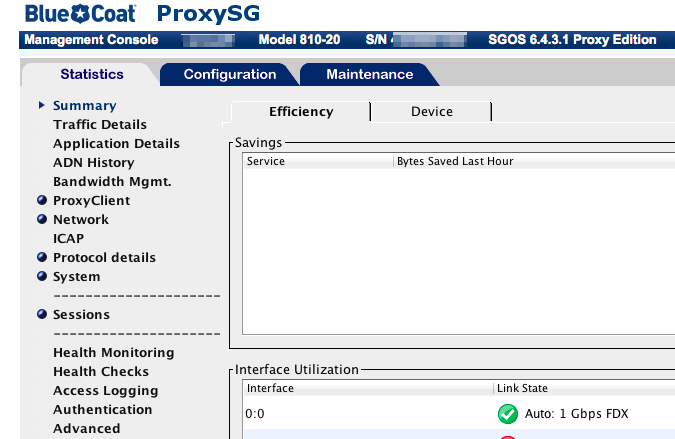 I wanted to do a real quick check of some settings in a proxy server this morning and had an unwelcome surprise. Error. Click for [useless] details. Joy. So much for that quick check of settings. Turns out something changed when I installed the last Java update and it caused Java to no longer trust the applet on my appliance’s admin console. I fiddled with things a bit before I finally got it working again, and for once that didn’t require some sort of install of a specific Java version. If you go to the Java console (in Preferences on a Mac or Control Panel on a Windows machine) you can make it all happy again. 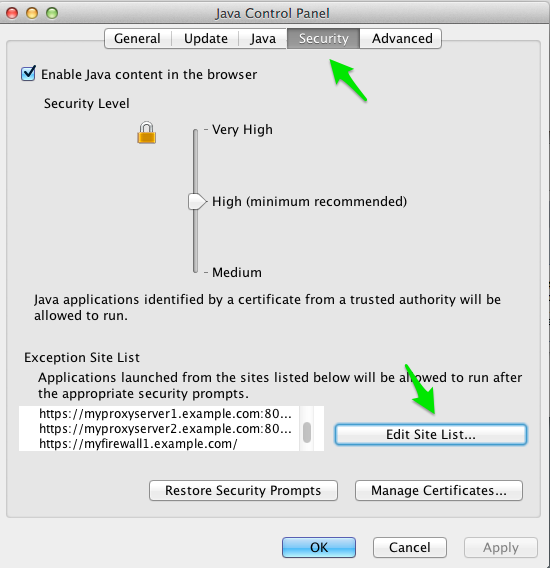 Go to the security tab and add your sites to the Exception Site List using the Edit Site List… button. Adding your hosts to the Exception Site List allows your applet to run again. Do be aware that if your administrative console is on a different port number than 80 or 443, you need to include it in your exception URL. Now if you reload your applet you should be greeting by something that actually works! This entry was posted in Equipment and tagged Administration, BlueCoat, Java by scottm32768. Bookmark the permalink.